Diamond Select Announces View Askew Minimates Line and Comic-Con Exclusive! June 2013 - When a new Minimates toy line is born, it's a special time for everybody. So Diamond Select Toys is going to give birth at the most special time of all! 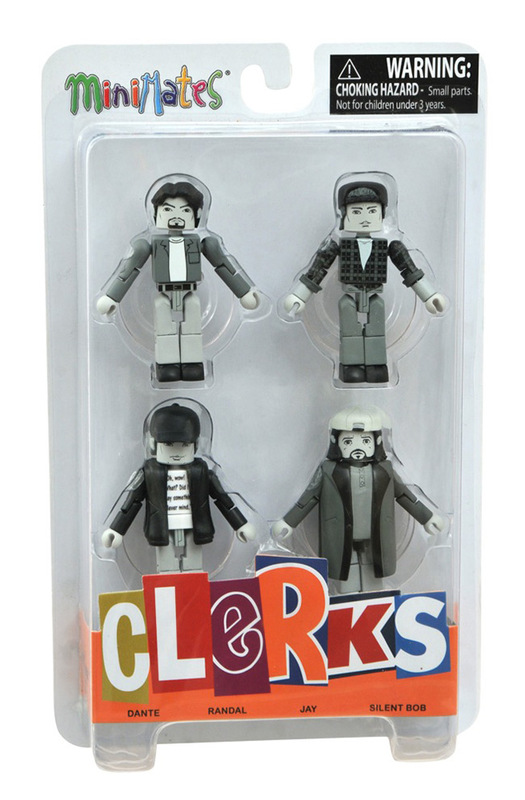 A new line of Minimates is debuting at this year's Comic-Con International in San Diego, and it's from the cinematic world of Kevin Smith! 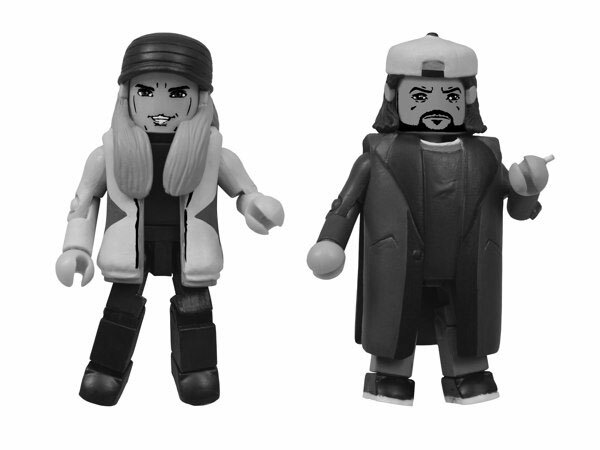 The first exclusive two-pack includes Jay and Silent Bob in black-and-white, just as they appeared in Smith's groundbreaking debut film, Clerks. Future sets will be in black and white as well as full-color, and will be based on all of the View Askew universe films: Clerks, Mallrats, Chasing Amy, Clerks 2 and Jay and Silent Bob Strike Back! Each Minimate mini-figure stands approximately 2 inches tall, with interchangeable parts and accessories.